At last! We have free and unfettered access to the internet, courtesy of Debbie and Eoghann, Greg's sister and soon-to-be brother-in-law. We're in the process of downloading then uploading the photos to my Yahoo! Photos account. You can access them here; but be warned, they're out-of-order and unlabelled. 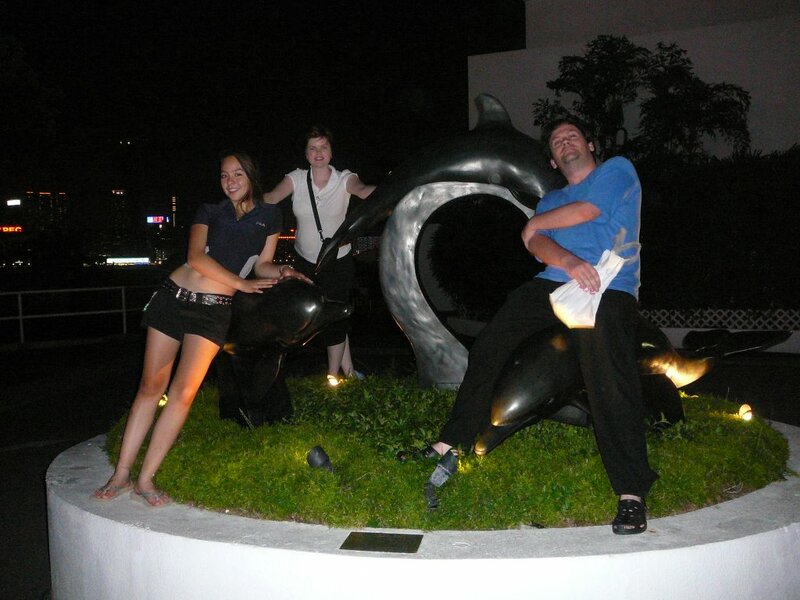 So I'll put up a few over coming days to give a brief taste of our adventures so far. 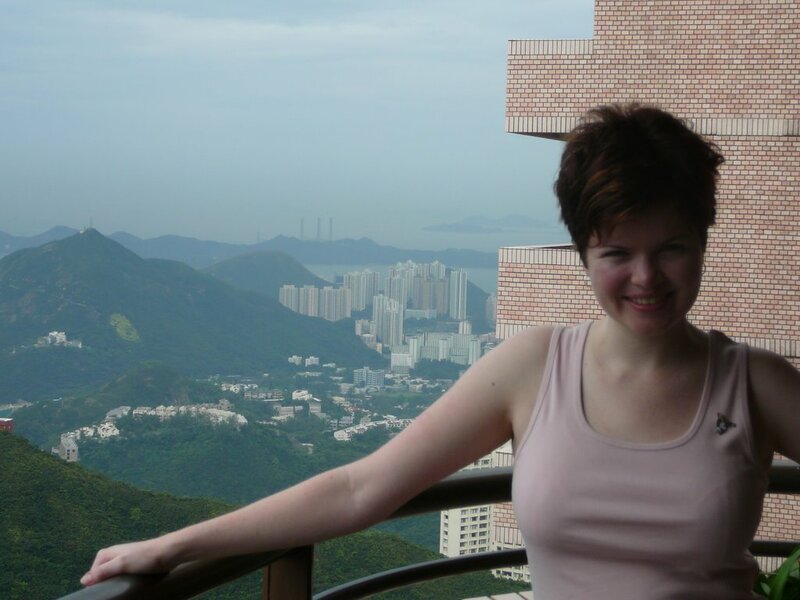 The view from my Uncle Jan's apartment - 20 stories up at Parkview, a mammoth residential estate in 'country' Hong Kong. 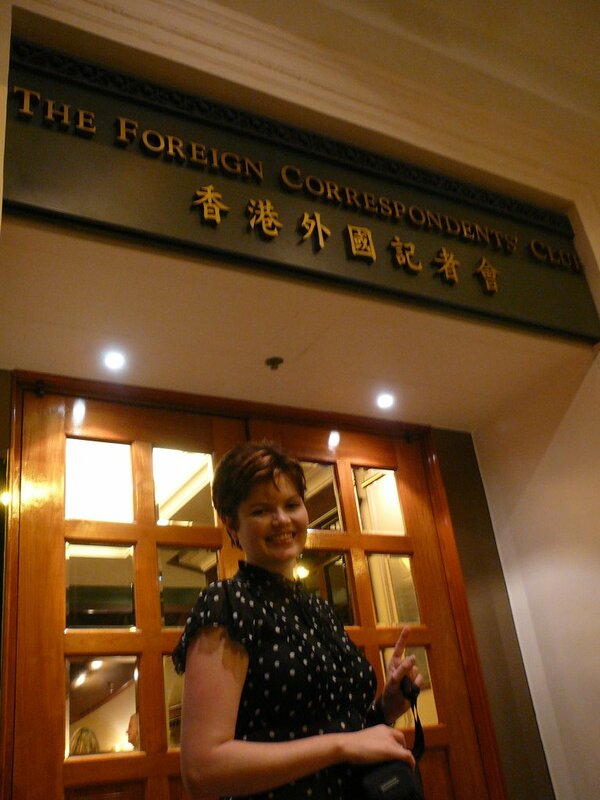 Me outside the Foreign Correspondents Club in Hong Kong. Still about the closest I've got to doing anything related to journalism. They had a wire service in the lobby! Eee! 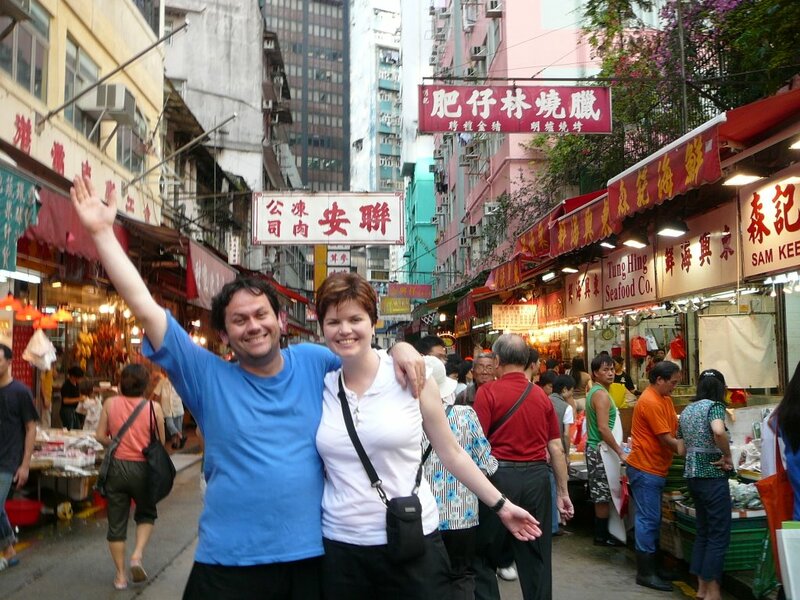 An old fashioned downtown HK street market; selling fresh fruit & veg, live fish & seafood, and any kind of meat you could imagine (including feet, ears & noses). 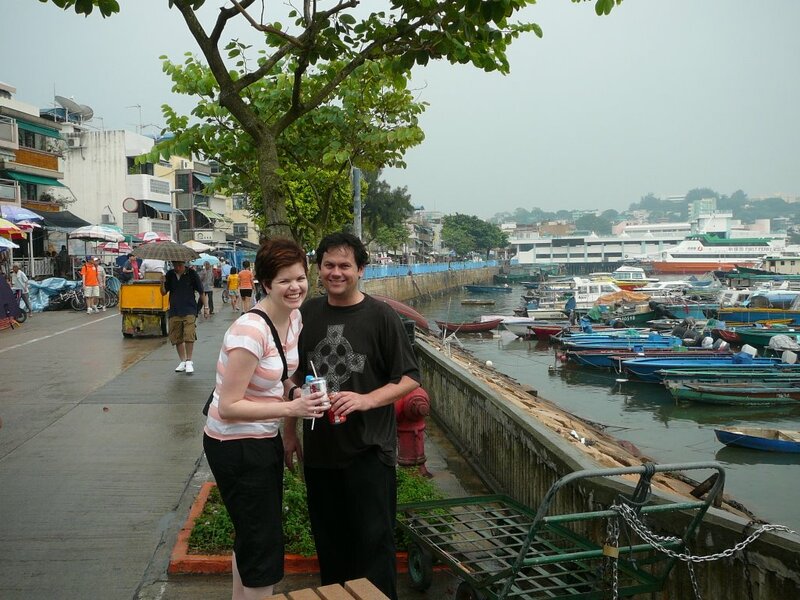 Enjoying the humidity on Cheung Chau, one of the many islands that surround Hong Kong Island and Kowloon and the New Territories (the mainland). Note the grey skies. That's pollution, swept down from industrial southern China by a typhoon. huzzah! you all is lookin' good, peeps. y'know, as i keep seeing people now that i'm back i really miss the fact that you guys are here. but keep having the fun! i'll see you soon enough, you betcha. Your hair looks good...is it different to last time I saw you? Hmmm...anyways I'm procrastinating from doing uni assessments haha...better get back to it. Don't worry fiend, we're already planning geek nights at Chez Nat (proper name to be determined) for when we get back! And Jax, I had all my hair chopped ouff the day before I left - I dyed it but the dye washed out with the first shampoo. ;) Although the haircut is looking a bit ratty now - as you will see in upcoming photos!